Chird Booyaratevej 1990 18 72 6683 75 minutes from downtown. Thailand’s first riverside course measures 6,683 yards with bunkers found around fairway landing areas and guarding all 18 greens. The river forms a ‘U’ and defines a peninsula where the course is located. 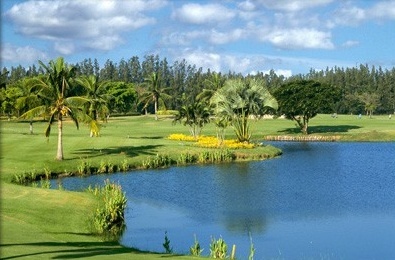 A contiguous water hazard wends through the course much like a river and comes into play on 13 holes. Thick rough lies at the edges of broad fairways and the course can play longer than it measures due to prevailing winds from the Gulf of Thailand, five miles away at the mouth of the Bangpakong River. On two par three holes and on one par five and one par four, you have to contend with carries over water. The clubhouse facilities are good with a very nice restaurant and there is a good selection of hotels nearby in Chonburi.